to help your pet live a longer and better life. If you have a heart problem, you might need to see a cardiologist. It’s the same in the animal world. If your pet has a heart issue, your local vet may refer you to a BluePearl veterinary cardiologist. 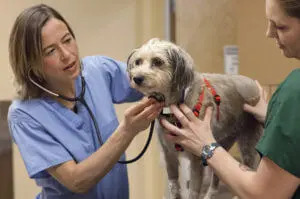 They’re experts in caring for the heart health of our furry friends. Our pet cardiologists know all about your pet’s circulatory system: the heart muscle, valves and blood vessels. They also know what to do when things go wrong. We want you to be prepared for your visit with a BluePearl pet cardiologist, so you have one less thing to worry about. But you should know our entire BluePearl veterinary team will be with you every step of the way. 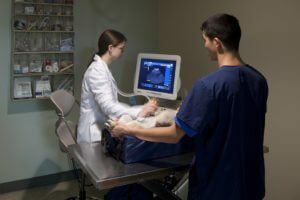 While a pet’s heart problem is nothing to ignore, many conditions, with proper monitoring and treatment, will enable your pet to live a better and longer life.